Little cottages that are old world and offer a different kind of travel experience. We’ve talked about renting villas as a great way of feeling embedded in whatever country you’re visiting. 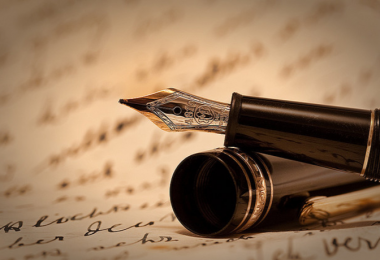 You get to know some locals, shop in their stores, learn more about foods and wines of the region, and if you’re there long enough, adopt some of the lifestyle manners of the area. Italy is the best country for villas — there are lots of them scattered throughout the country, in various shapes, sizes, levels of luxury, and price. While hotels certainly offer more amenities, you feel more like a guest when you stay at one, while when you stay at a villa you feel more like a resident. 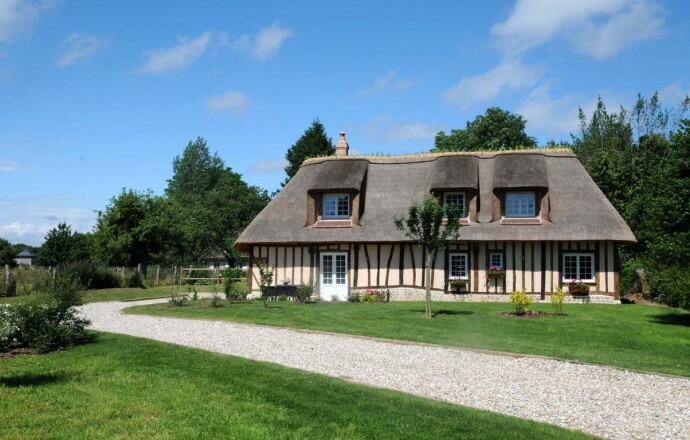 France also has a good number of villas for rent, but what they really specialize in is something called gites, which means cottages in French — I looked it up. They are ideal for smaller groups, and there are quite a few to choose from — more than 30,000, if the gites-de-france.com website is to be believed. To give you an idea of just how many there are, the little brown dots on the map directly below shows the disbursement in just the Versailles area. 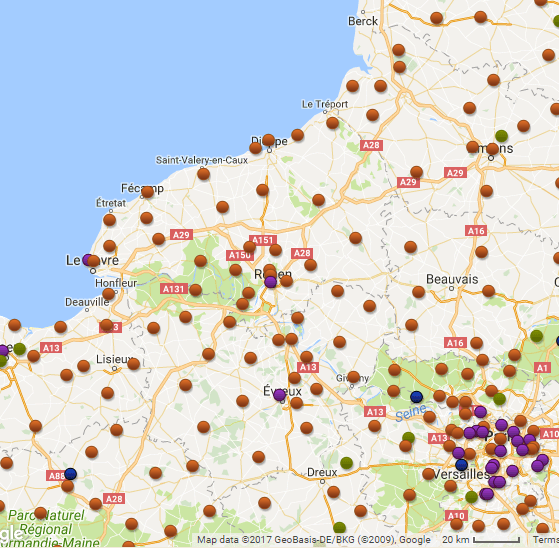 But what you can’t see is that each little brown dot actually represents as many as 500 gites in that particular area. 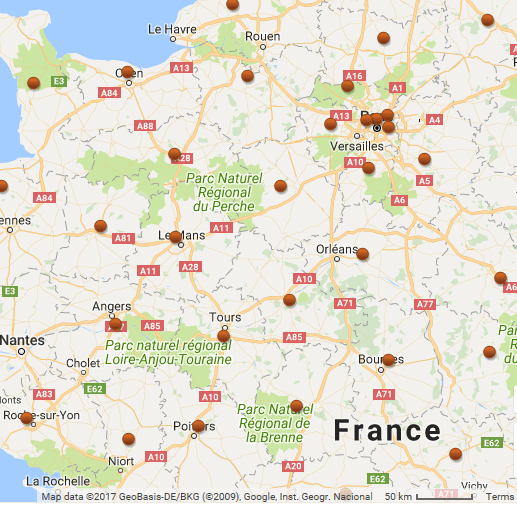 When the map is expanded to highlight around Versailles, for example, you can see just how many clusters there are, and I say clusters because each brown dot now contains about 25 gites.